Information technology is an ever-changing field with dynamic nature. For a better career growth, IT professionals should enhance and validate their skills with the new developments in IT industry. A certification is a great way to demonstrate your high-value skills to the employers. Earning a certification can make a big difference in your job prospectus, and help you in the career advancement. The popular fields of information technology those are bringing up IT certifications are cloud computing, project management, big data, digital marketing, networking, and security. The IT certifications not only play an important role to advance the IT career but also help to earn a better paycheck. The choice of a right certification can give a raise of up to 20% of your pay. But while choosing a certification a number of questions may come to your mind like – What is the right certification for me? Which IT certifications are in great demand today? 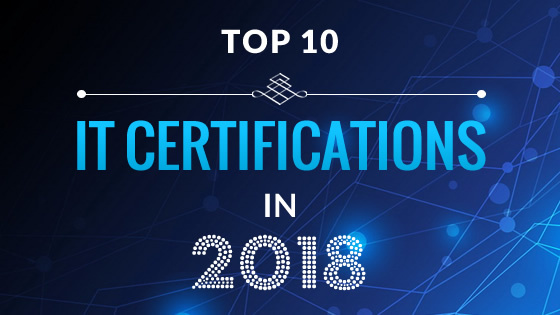 To take you out from these questions, we’ve pinned the top 10 IT certifications that are most valuable and in greatest demand. The average earning of an AWS certified professional is $120,000 per annum. Although the range of pay for entry-level to the top-level positions is $100,000 – $200,000. 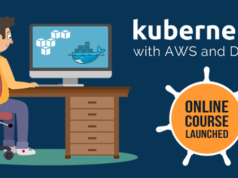 Preparing to become certified AWS Solutions Architect Associate? Take a Free Test Now for the exam practice. The average earning of a project management professional is $105,324 per annum. Although the range of pay for entry-level to the top-level positions is $80,854 – $139,000. Devising to validate your Project Management skills? Prepare for PMP certification through Whizlabs PMP Study Material (self-study training and practice tests). The average earning of a certified Java professional is $102,158 per annum. Although the range of pay for entry-level to the top-level positions is $80,285 – $115,956. Looking for OCPJP8 preparation material? Whizlabs offers industry-level OCPJP8 Online course and Practice Tests. Take OCPJP8 Free Test now. The average earning of a professional scrum master is $100,000 per annum. Although the range of pay for entry-level to the top-level positions is $73,000 – $126,000 per year. Want to become a Professional Scrum Master? Start with Level I PSM certification. Take PSM I Free Test now. The average earning of a certified Linux+ professional is $95,000 per annum. But the range of pay for entry-level to the top-level positions is $75,000 – 120,000 per year. Preparing for Linux+ Certification? Check your current level of preparation with free tests for Linux+ LX0-103 and Linux+ LX0-104 exam. The average earning of a certified Cloudera Administrator is $79,396 per annum. But the paycheck range may vary from $68,122 – $99,442 per year. So, have you decided to become a Cloudera Certified Associate Administrator? Start your preparation with CCA Administrator Online Course. The average earning of a Certified Digital Marketing Master (CDMM) is $96,214 per annum. But the paycheck range may vary from $82,687 – $118,639. Want to demonstrate your Digital Marketing Skills? Join Digital Marketing Master Course now! The average earning of a puppet certified professional exam is $107,500 per annum. But the paycheck range may vary from $89,089 – $140,000 per year. Are you a System Administrator? Add a new credential to your resume with Puppet Certification. Start your preparation with Free Test now. The average earning of an AWS Certified Cloud Practitioner is $143,091 per annum. But the paycheck range may vary from $121,510 – $162,560 per year. Are you an AWS Cloud professional? 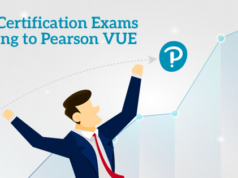 Validate your skills now with this certification exam. Take AWS Certified Cloud Practitioner Free Test now! Microsoft Azure is the cloud computing platform for modern businesses. Azure certification recognizes one as a Microsoft Azure Specialist. 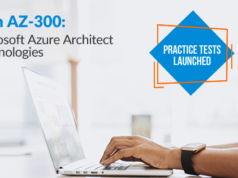 The Microsoft Azure 70-534 – Architecting Microsoft Azure Solutions exam is one of the popular IT certifications for Azure cloud architecture. This certification demonstrates your knowledge of system design. On learning how to design systems, it will be easier for one to implement those systems. So, passing this exam can make you pass other exams easily. The average earning of a Microsoft Certified Azure Architecture Specialist is $112,764 per annum. But the paycheck range may range from $95,000 – $165,000 per year. Want to become a Microsoft Certified Azure Architecture Specialist? Check your current knowledge of Azure Architecture with Free Test. The IT industry is an ever-changing and growing field. Technologies keep on changing and then comes new certifications. The IT certifications validate your skills and expertise in different fields. After a keen research on market and pay scale, here is the list of IT certifications that will not only help you boost your career but will also raise your salary. What you need to do is just choose the one as per your skills, pass it, and stand out of the crowd. Excellent one, Thanks for sharing.